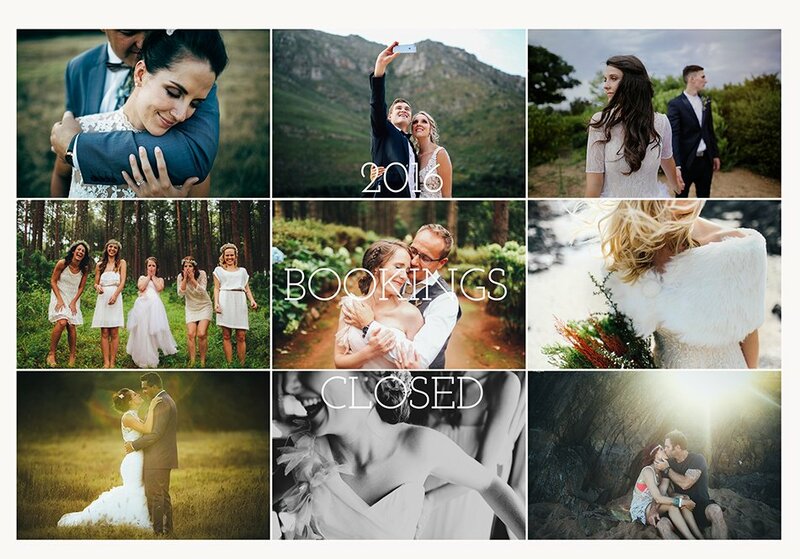 It is with part Joy and part sadness that i can no longer take on any more bookings for weddings in 2016. I can imagine that 43 weddings over 365 days is probably a crazy notion to some, heck it is to me. But i just love this job so much, but in the same breath want to continue doing it with quality&keeping my couples happy. So cutting it off there for me, is the wiser choice. I am extremely humbled&grateful that i am in such a position so early in the year and excited to see the rest of the year out with the weddings ahead. Thank you to all my amazing clients&couples that have made this possible. Inquire via email for dates available.